Halal Development Foundation Japan Incorporated, and the HDFJ held a Global Halal Seminar at the Japan National Press Club in Tokyo on January 22, 2014. -The Chairman of the Sharia Hotel and Restaurant Association of Indonesia. 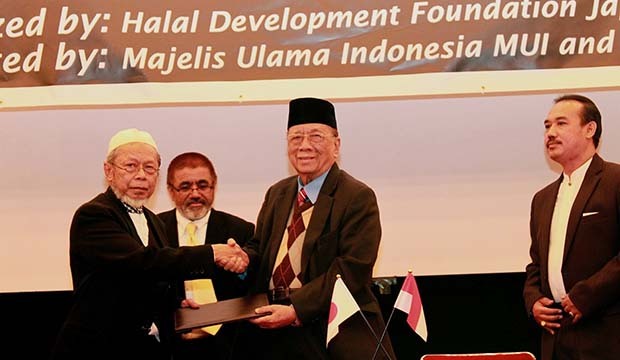 Chairman of Shariah Compliant Sofyan Hotel also signed a MoU with HDFJ to jointly work with HDFJ to promote Sharia Compliant tourism and hospitality in Japan and Indonesia. 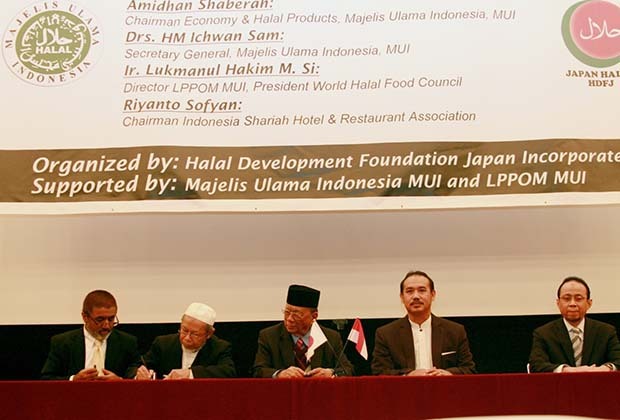 MUI and HDFJ decided to cooperate in certifying Halal Products of Japan and promoting awareness about Halal and Islamic values. More than 170 representatives of Japanese Food & Beverages industries, tourism sector, Hotel & Restaurant sector, Japanese ministries, financial institutions and research groups participated in the seminar. More than 170 representatives of Japanese food & beverages industry, tourism industry, meat producers, Japanese ministries and halal organizations in Japan took part in the HDFJ Global Halal Seminar. Vice President of HDFJ Mr. Mohammad Zubair presented outcome of 2nd OIC Halal Middle East Congress held in Sharjah U.A.E in December 2013. Emphasizing Japanese opportunities in the global halal market he urged Japanese foods, beverages, cosmetics, pharmaceutical and tourism industries to avail untapped opportunities in the world of Halal. Chairman Economy & Halal Products, MajlisUlama Indonesia Drs. Amidhan Shaberah presented a comprehensive view of Indonesian Halal economy. “Republic of Indonesia is one of the most populous Muslim countries and it is great opportunity for Japanese industries to explore remarkable chances in Indonesian Halal market” Mr. Amidhan said. Seminar participants expressed great interest in Global Halal Market and Halal Certification. Mr. Lukmanul Hakim, the Director LPPOM MUI, explained about the importance and process of Halal Certification. “Indonesian people like Japanese foods and other products but without Halal Certification they cannot eat or drink even if the foods or beverages are delicious and healthy” Mr. Lukman stressed. Talking about growing Indonesian economy, he explained that the market is expanding with a fastest pace which is a great opportunity for the Japan. Japan need correct and prompt information about Halal Development in the world, said a participant from the food industry. President of HDFJ Idrisno Madjid shaking hands with Drs. Amidhan Shaberah, the MUI Chairman after signing MoU. On most right is Mr. Lukmanul Hakim, Director LPPOM MUI. Speaking at the seminar, Chairman Sofyan Hotels Mr. Riyanto Sofyan presented an outline of Sharia Compliant Hotel. Sofyan Hotels in Indonesia are one of the best Halal Hotels, Sharia Compliant and certified Hotel chain. “Halal Products and Services are one of the next big global growth opportunities. Understanding their unique lifestyle (of Muslims) choices is the key to tap into this lucrative market”. Mr. Riyanto Sofyan said. HDFJ is to hold several Halal Seminar and Workshops to expand awareness about Halal products, Halal Tourism and Halal Certification. “There is a need to make Rising Sun (Hinomaru) a strong halal brand, let make Rising Sun Japan Halal”. 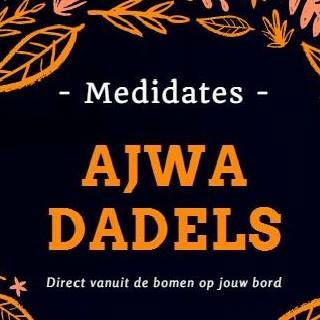 President of HDFJ said. He was urging not to depend on foreign Muslim countries for Halal certification but make a strong Japan Halal brand. MajlisUlama Indonesia, Sofyan Hotels and HDFJ agreed on cooperating to promote Halal Industries including tourism and hospitality. In middle of February 2014, HDFJ is to announce strategy and plan for the promotion of Halal Hotels, Restaurants and tourism in Japan.